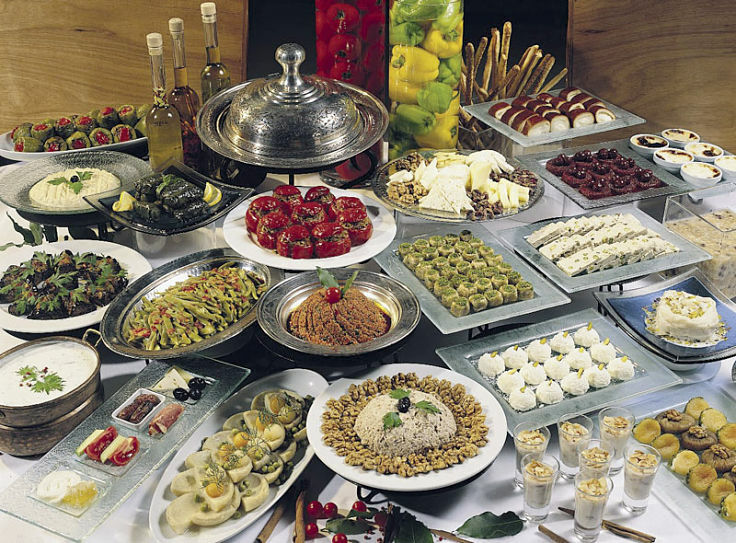 The people of Turkey enjoy a Mediterranean diet, which has been promoted as one the healthiest diets on Earth. 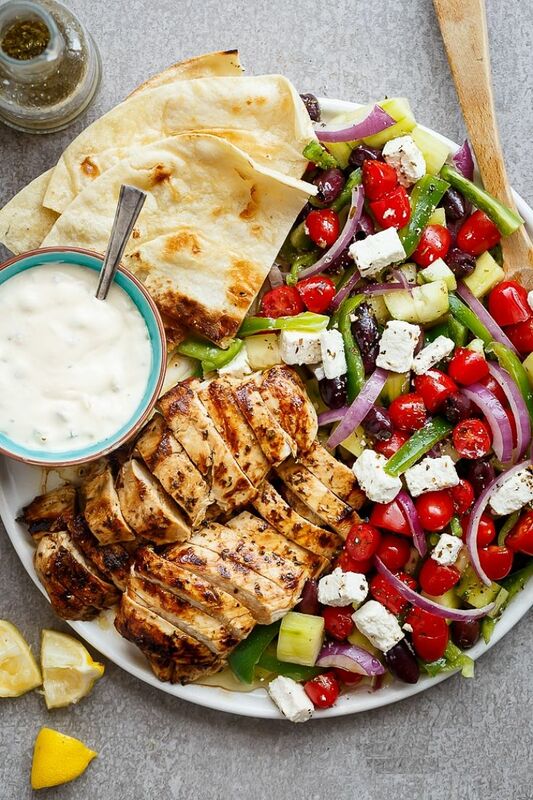 Turkish cuisine shares many of the attributes of the Mediterranean diet with emphasis on: vegetables, legumes, grains, oily fish, seafood, nuts, fresh fruits and olive oil. Turkish food is a fusion of Balkan, Greek, Jewish, Armenian, Ottoman and Central Asian cuisines. Many Turkish restaurants in the west include Greek, Lebanese and Middle Eastern dishes on their menus. 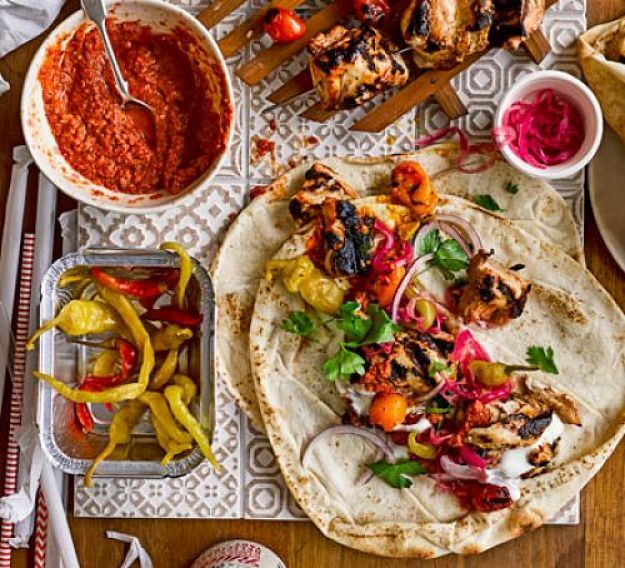 Home cooked and Turkish restaurant cuisine includes a variety of chicken, lamb or beef dishes, fish and seafood that are mostly grilled or barbecued. This is a healthy way to cook meat, and there are many delightful vegetarian foods and dishes available as well. Foods are served with dips, bread and a huge variety of salads and side dishes. 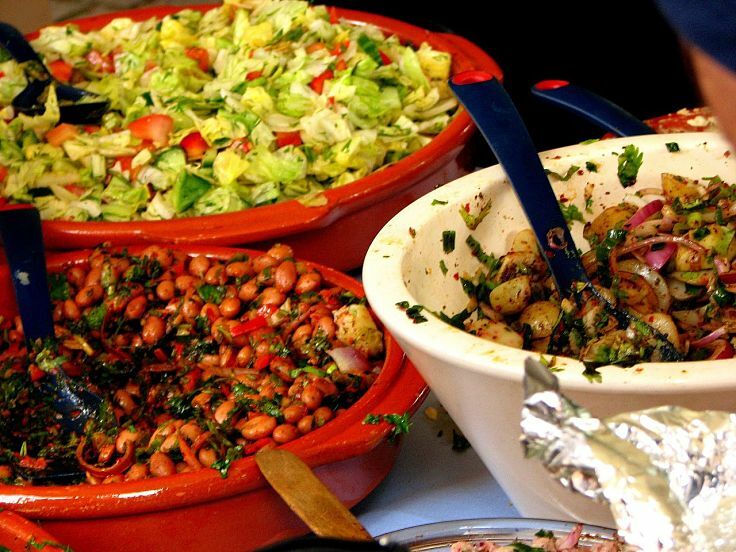 The main issue when choosing healthy Turkish foods, especially when trying to restrict the amount of fat and calories, is that the food is so rich, tasty and wholesome; it is so easy to overindulge. This article summarizes the nutritional information for about 100 Turkish dishes in a convenient table that can be sorted by calories, fat and protein content. This makes it easy to check on various food and dishes to ensure you are meeting your health objectives. This article also provides a detailed guide on how to make healthy, low calorie and low fat choices, when eating out at restaurants, or choosing what Turkish dishes to cook at home. A main Turkish meal usually begins with soup and the meze, which is a delightful array of small servings of various dishes that are served hot or cold for sharing. Often included are dolma (peppers, egg plants or vine leaves stuffed with rice), cacik (taziki), Tarama salad, various types of borek (pastries) and arnavut cigeri (cubes of fried liver). A meze may be a good choice for a main meal served with dips and bread if you are on a diet, especially if its shared. Often a salad is included as a side dish. A typical salad is çoban salatası, made from cucumber, parsley, tomato and onion with and olive oil and lemon juice dressing. Ask for the dressing to be served on the side, because you can then control the amount of oil in the salad to control the calories. lamb stews such as sulu yemek or ev yemegi – generally a good choice with a small portion. Iskender or Bursa kebab (slices of doner meat on small pieces of bread and covered hot butter, tomato sauce and yoghurt) . sis kofte (small lamb burgers or meat balls) worth trying - but check the oil content. Most Turkish food is healthy because of five main ingredients and the use of healthy cooking methods. Olive Oil – Olive oil is a very healthy component of Mediterranean diet due to the high levels of monounsaturated fatty acids and high level of antioxidants. In Turkish cuisine olive oil is used for salad dressings, and for preparing a wide range of dips and vegetable dishes, such as dolmades. Grilling and Barbecueing – Grilling and barbecuing meat and vegetables is a long established tradition in Turkey. Red meat, chicken and fish along with an array of fresh vegetables such as eggplant, mushrooms, corn on the cob, zucchini, asparagus spears, tomatoes and various peppers are all grilled. This is a very healthy way to eat vegetables. Grilled vegetables are generally served sprinkled with dried chilli powder and with some garlic. Grilling is a healthier cooking method than frying and choosing a mixed Turkish grill is a very healthy option. Oily Fish and Omega 3 fats - Oily fish is high in Omega 3 fats, high in protein, and generally lower in fat and calories than meat. The predominance of fish and seafood in diets have been promoted as reasons why the Mediterranean Diet is so successful. Most fish and seafood is grilled, barbecued or baked in foil and is a very healthy choice. Fish dishes are generally served with a healthy salads. 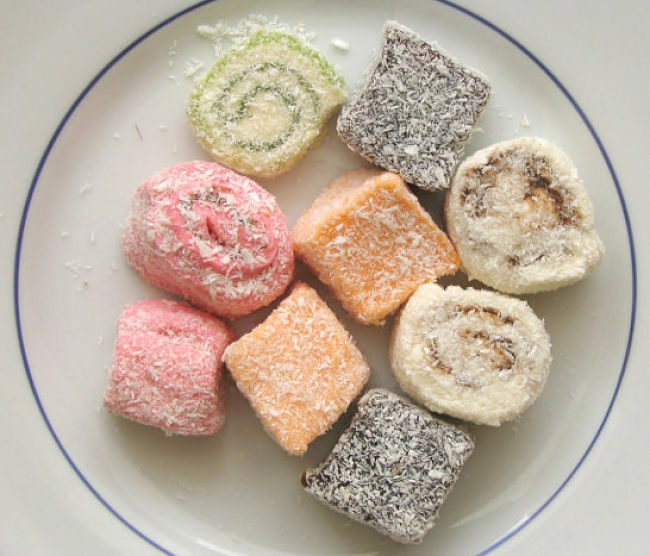 Turkish Desserts - Some of the famous Turkish desserts such as Turkish delight, Baklava and various buttery pastries are ladened with oil and calories, but there are many healthy alternatives. There are usually a delightful array of fresh fruit desserts made with slices of rockmelon (cantaloupe), watermelon or honeydew slices, often served withTurkish apple tea. This tea is a very healthy option as its all-natural and caffeine free. All high-fat and high calorie entrees like spanakopita (cheese and spinach pie). Desserts such as baklava which has a very high fat content and a high calorie count. Or choose very small serving. Go easy on the bread and dips. While mostly made from healthy ingredients, the calories and fat add up if you are not very careful. Don’t choose Barekas (pie stuffed with meats, potatoes and cheese) as an entrée. 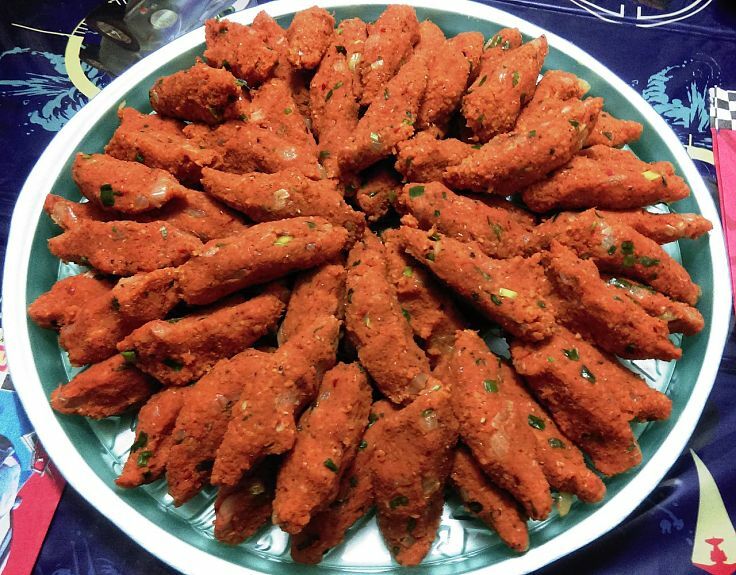 Fried foods, such as falafel (which are made from chickpea balls, that are fried). Limit the amount of tahini (sesame paste) used in sauces and dips. Avoid desserts that have a lot of honey, oil and sesame paste. 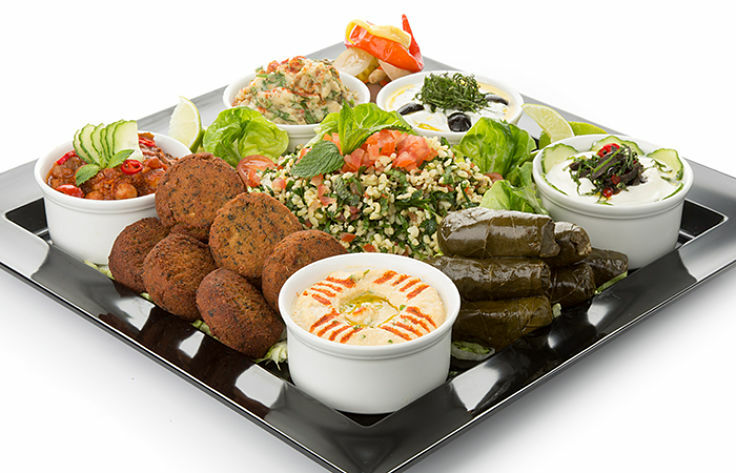 Order small serves of appetizers like stuffed grape leaves, hummus dips and pita or tabouleh. Share a single serve. These dishes are delicious, but you need a lot of control to keep the portion sizes down and under control. Grilled meats, such as chicken, lamb and beef, as well as fish and seafood are excellent choices, especially if you ask for the sauces and accompaniments as side dishes. 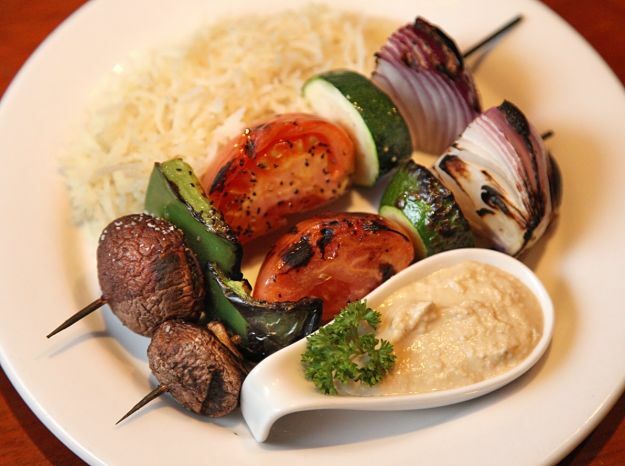 All the various kebabs (skewered meat dishes) are also healthy choices (watch the sauces). Choose grilled vegetables to go with your grilled meat dish. Be careful with the eggplant as it can be laden with oil and have a very high calorie count. Meat and vegetable tagines are simple stews, generally made with fresh, simple ingredients and aren't too high in fat. 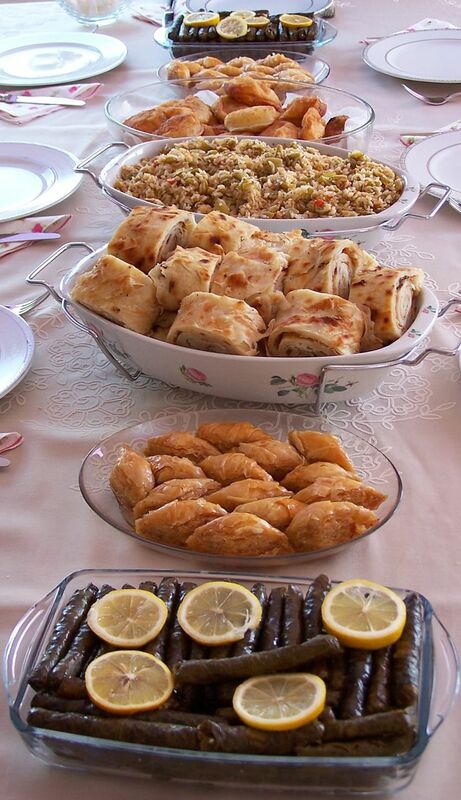 Meze, which traditionally consists of several small dishes. But check that what is offered does not include deep fried dishes and minced lab loaded with olive oil. The table below shows a summary of the nutrients in popular Turkish dishes. It is ordered from dishes with the lowest to the highest number of calories. This will depend on serving sizes which are also shown. Serving size will vary considerably and this needs to be considered. You can re-order the list by clicking on the various headings.